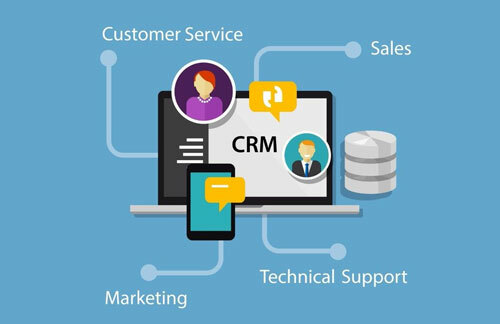 A critical decision for the success of a business on the global platform is to invest in a Customer Relationship Management (CRM) system that will positively impact their sales and service objectives. Salesforce.com (SFDC), which is widely regarded as the best CRM solution in the world, is a cloud-based software solution aimed at helping organizations generate leads and close them fast, connect with customers across different platforms, predict customer behavior based on history, offer personalized experiences and boost customer satisfaction. Salesforce.com implementation is one Idea Helix’s core services. As a Salesforce Silver Consulting Partner, we have a responsibility to ensure quality delivery and are committed to the cause. Our Customers get the Best Consulting Services with certified Salesforce expert consultants driving the best ROI for their business. At Idea Helix, our goal is not innovation, but to solve our customers’ most pressing business challenges using the Salesforce platform. Whether you need just Salesforce administration or custom development or advanced customization and optimization, our team of experts have you covered. 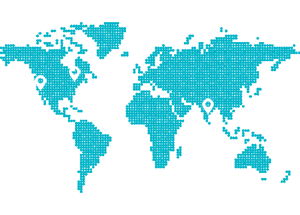 The Idea Helix team bring deep CRM domain technical and functional expertise to each SFDC implementation. Our well-planned, skilled and disciplined approach to SFDC administration, development, integration, customization and support has received excellent customer feedback. While each project is unique and there is no one-size-fits-all method of implementation, we follow a systematic approach that we have developed across the many implementations that we have done. We can setup, configure and customize Salesforce as needed for your business. Research studies indicate that most organizations process less than 15% of their data. That means that the remaining 85% of data is either not collected or analyzed to make smart and necessary business decisions. In today’s world of connectivity and the need for real-time decision making, this unprocessed data needs to be processed to stay competitive and relevant. Processing and analyzing is possible by using calculative data harvesting approaches, the practice of which is encompassed in the broad spectrum name of Big Data. 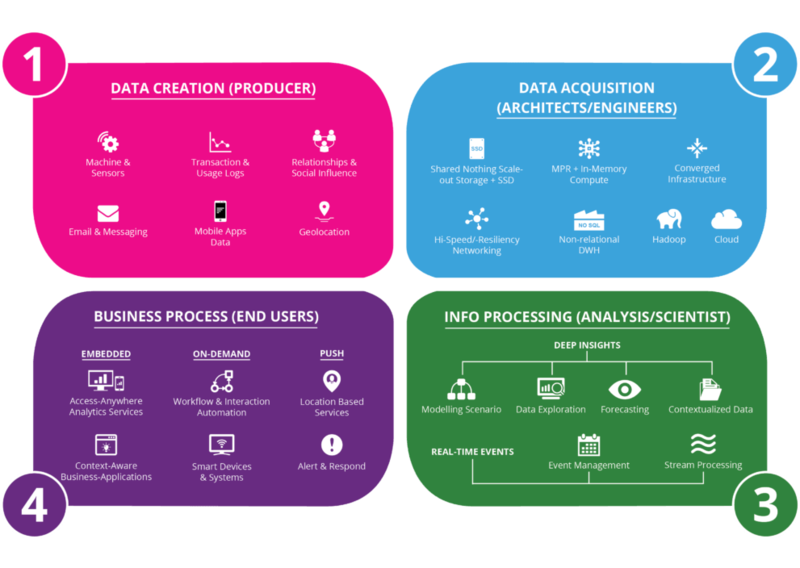 Drawing out a road-map for big data implementation can be challenging. Unlike many technology services, in-house talent alone is not sufficient for Big Data implementation. It is also important to have a plan of identifying and harvesting the data for the overall implementation plan to succeed. At Idea Helix, our Solutions are designed to meet the needs of our customers and scale to accommodate their growth. While we provide economical solutions, we do not compromise on our core values at the fore of which is Quality Delivery. Our team of Specialists will build you a custom solution for your existing environment or for a new project effort. Big Data Consulting Services: Our Big Data Consulting Services transform organizational knowledge into insights for more informed and timely business decisions with the best possible TCO. Big Data Analytical Solutions: Big Data analytical solutions that can be easily customized to the customer’s specific business needs and seamlessly integrated into their existing infrastructure. Big Data Training Services: Vendor agnostic, hands-on Big Data training classes offered in group-study style by industry veterans who teach the work they are doing every day. The Mobility industry is if not the most disruptive, among the most disruptive and ever evolving and innovative industries. The need to be mobile and have applications on a mobile platform is no longer a matter of debate. Mobility ensures personalized connections, inspires action and develops grounds for a long term relationship. The growth of smartphones and tablets has led to a surge in the demand for mobile access to business data, processes, tools and communication. Today’s powerful processors enable people to have more at their fingertips in the form of smartphones and tablets than a lot of the computers. With OLED bendable displays, wearable mobile, retina scanning, palm identification and voice unlocking gaining focus, the sky's the limit for applications that can ease your daily life. You can use apps on your smartphone to control your kitchen appliances, turn on home security systems and even control sprinklers in the garden from anywhere in the world. The possibilities are limitless. At Idea Helix, we are committed and capable to develop Mobility solutions at any scale that engage customers and make them technologically ready to meet market demands and competition. We have the right talent and expertise to ensure that every stage of the SDLC is executed and delivered with the best quality. We offer cross-platform Mobility lifecycle consultation that includes UX design, app development, app integration services and testing services. Copyright © IdeaHelix. all rights reserved.